While others might disagree, I think the best attractions in California are to be found right here in Central California and not those further south. The numbers might show that the "mouse place" is number one, but I truly don't think it can compare with places like Hearst Castle, the Big Sur coast or the Monterey Bay Aquarium. 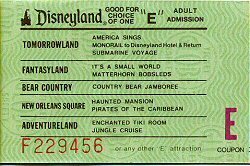 These are the real "E ticket" places. There are museums like the Steinbeck Museum in Salinas, the Monterey County Agricultural and Rural Life Museum in King City and the Warbirds Museum at the Paso Robles Airport. There is also a Space and Missile Heritage Center at the Vandenberg Air Force Base - nothing like that anywhere else in California. 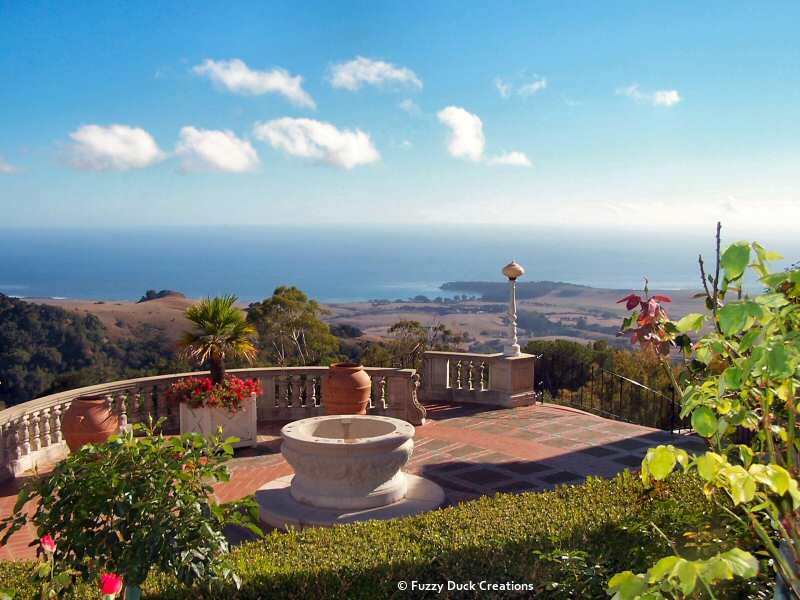 Just take a look at the photo from Hearst Castle above...what can compare with the sight of the ocean from 1500 feet with a flotilla of clouds passing by? William Randolph Hearst may have had his peccadilloes but he sure knew how to pick a site for a house. Check out this page for a view to spending a Christmas at Hearst Castle. Other Hearst Castle pages: Sunset over the Neptune Pool and seldom seen pictures of Hearst Castle. South of Hearst Castle, between Cambria and Cayucos is the little town of Harmony, population 18. Wine tasting, pottery and glassblowing are the main features here. There are many sorts of attractions here in Central California: natural, man-made, historical, cultural, entertainment, and just plain fun. 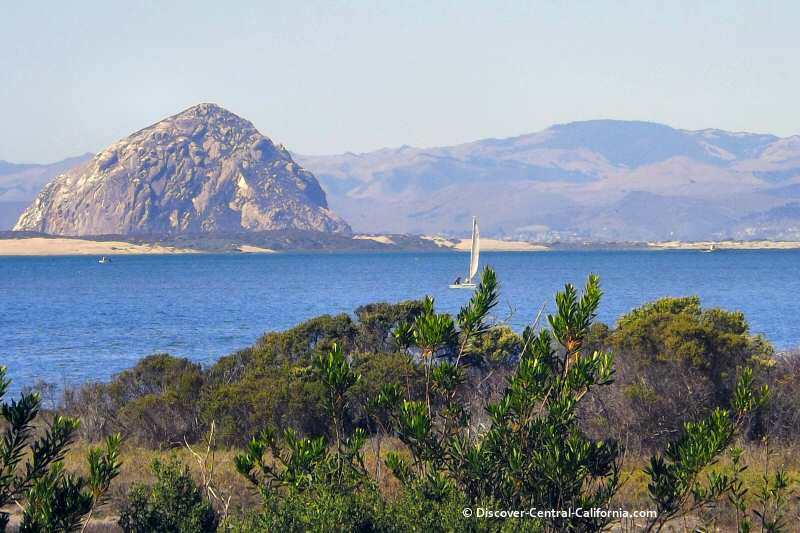 Use the list below to find out more about those Central California attractions which can fill out your "things to do" agenda. Also called "La Cuesta Encantada" or "The Enchanted Hill", this was for years the home of newspaper publisher William Randolph Hearst. He spent many years traveling through Europe and purchasing artifacts and shipping them back to the United States. "Artifacts" for Hearst was a big concept, since he even bought a complete monastery and had it disassembled and shipped here. The complex is so large that there are several tours since taking in the entire estate would take days. An evening tour is also available and special functions throughout the year. Opened in 1984, the Aquarium is built around the nucleus of the old Hovden Cannery which closed in 1972 after the sardine population collapsed from overfishing. The exhibits are fascinating and draw the visitor in like no other aquarium or zoo or museum that I have ever seen. It is a beautiful building, set in a beautiful location right on Monterey Bay. Thinking about the numerous visits I have made here, comfortable is probably the best word to describe those visits. Sounds rather silly, but you never feel rushed. There are no long lines where everyone gets cranky waiting for the "ride". Everyone seems to be engaged and interested in learning more about the little-known world that exists beyond the water's edge. 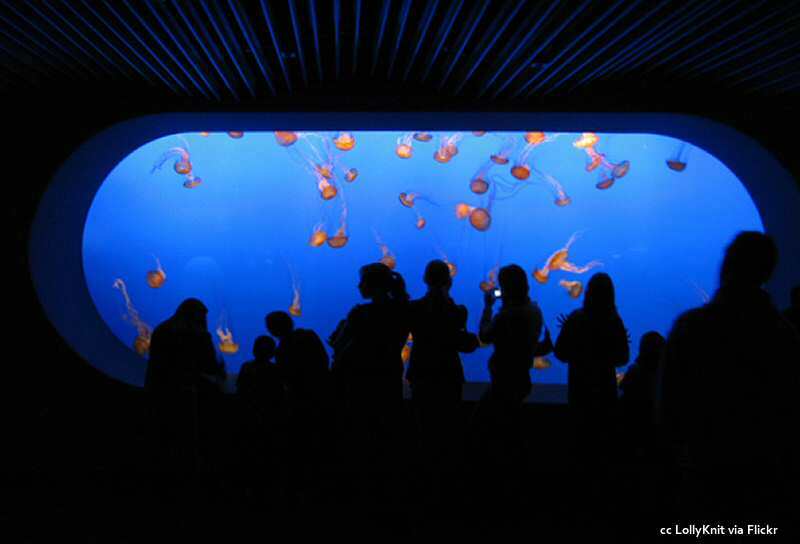 The Aquarium is right on the famous Cannery Row, made famous by the novel by John Steinbeck. Lots of great restaurants, shopping and views of Monterey Bay. A State Historic Park; Please read this page before heading there as there are some serious considerations about the road. While you're in the area there, be sure to check out the Cold Spring Tavern and the Cold Spring Arch Bridge. California's only horticulturally themed amusement park. In the heart of Garlic country. Just north of Monterey. 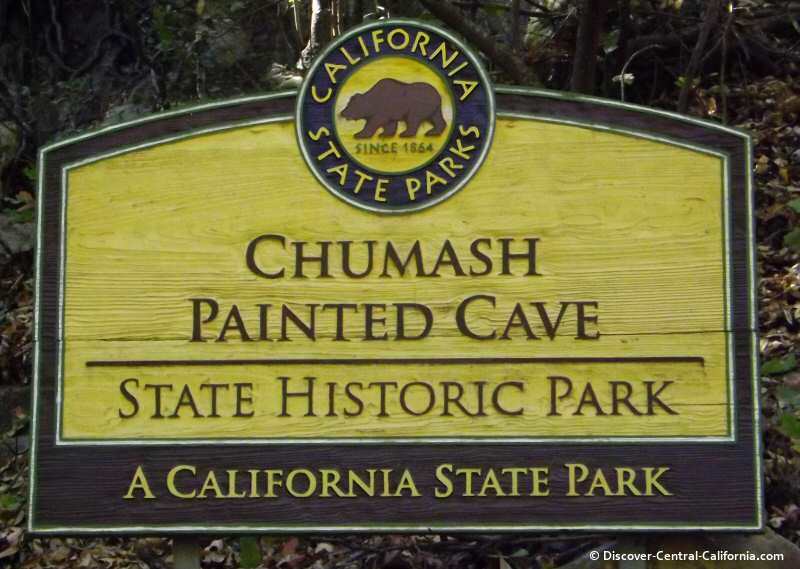 This California attraction is a bit different, yet it has a draw for those of any age group. East of Paso Robles, in the very small town of Cholame, you'll find the James Dean Memorial on the grounds of the Jack Ranch Cafe and a few hundred yards down the road is the James Dean Memorial Junction where the actual crash occurred. There is a makeshift memorial with items left by fans. The Rock is only one of a chain of "Nine Sisters"
A vast expanse of open ground that on the surface seems to be a desolate wasteland, but the Carrizo Plains has many wonders, not the least of which are great springtime displays of wildflowers. 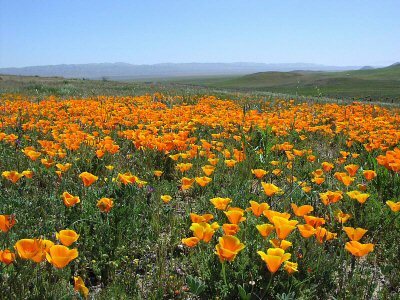 Wildflowers are on of everyone's favorite on the list of California attractions. The newest of the national parks, the Pinnacles is best explored by foot and richly rewards those who take the backroad to find this beautiful area.